Mickey’s Not-so-scary Halloween Party at Magic Kingdom from 8/25-11/1 – This after-dark halloween event is filled with costumes, fireworks, a halloween parade and more! Halloween Horror Nights at Universal Orlando takes place from 9/15-11/4. The streets of universal Orlando come alive with horrifying monsters! Explore haunted houses, scare zones, live events and more at this spooky event. Halloween Spooktacular at Sea World Orlando takes place from 9/23-10/29. This fun family event contains spooky and silly live shows as well as trick-or-treating throughout the park. Epcot’s International Food & Wine Festival takes place from 8/31-11/13. Experience cuisines from all over the world, global music and so much more! Rock the Universe at Universal Orlando takes place from 9/8-9/9. Experience 2 nights of Christian Rock with popular artists. Disney Night of Joy – Christian concert weekend takes place from 9/8-9/9. The event celebrates gospel, soul, pop, hip-hop and other forms of christian music. Mickey’s Very Merry Christmas Party at Magic Kingdom takes place from 11/9-12/22. This winter celebration includes a holiday parade, fireworks, Santa Clause and more! Grinchmas at Universal Orlando takes place from 11/18-1/6/2018. Experience the live retelling of the classic Dr. Seuss tale, The Grinch™. Candlelight Processional at Epcot takes place from 11/24-12/30. Experience the story of Christmas with an Orchestra, mass choir and a celebrity narrator. Christmas Celebration at SeaWorld takes place from 11/24-12/31. Experience festive shopping, holiday cuisines, live shows inspired by the natural world, carols, christmas lights and more! Florida Blue Florida Classic Weekend takes place from 11/17-11/18. This event is more than just a game – it is an entire experience. Come with old college friends, your family or just as a fan and join the O-town Showdown to see the FAMU Rattlers and the B-CU Wildcats play. 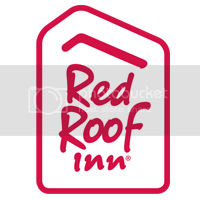 With so many amazing events to look forward too, it is best to make the most of each experience by staying at the affordable Red Roof Inn Orlando International Drive. We offer newly renovated rooms, complimentary scheduled transportation to Disney World and Universal, an outdoor pool and hot tub, fitness center, business center and a new Red Roof Order Inn program for delicious in-room delivery. We are also adjacent to the Orange County Convention Center. Book now! Travel With Red Roof PLUS+ and Get Rewarded!